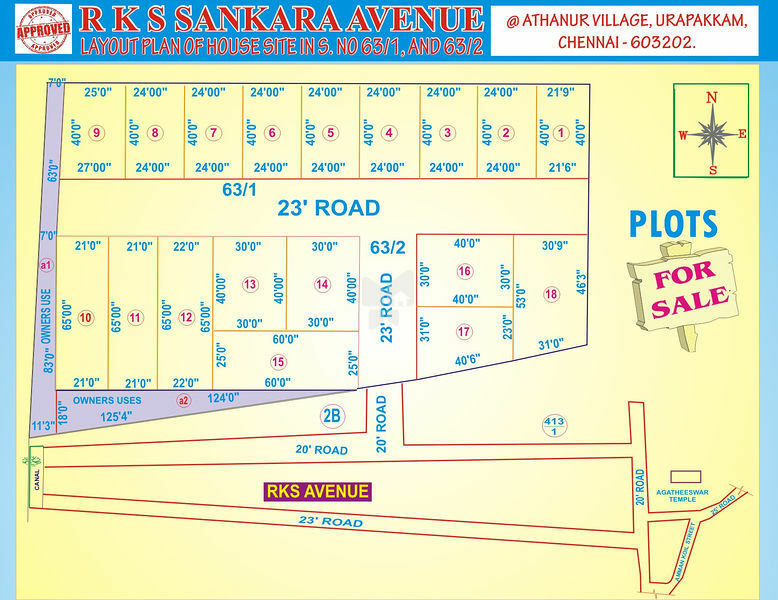 How Far is RKS Sankara Avenue? Amman Constructions was founded by Mr.C.J.Vijayakumar as a sole proprietor, to construct independent houses. During the course of time he ventured into promotion of flats and he was the pioneer in Nanganallur to have started construction of Flats. They are in this line from 1980 onwards. The company has successfully completed 21 years in this field. Now Mr.Rajesh Kumar an outstanding qualified Civil Engineer has become a partner in this company. In the course of the last 20 years AMMAN Constructions has earned a reputation for providing quality homes that are specifically designed to suit each customers individual needs. The goodwill enjoyed by Amman Construciton sProves that the growth rate has not been at the expense of quality of construction. The completed projects are an indication of the degree of amalgamation of architecture and structural disciplines. Proof of Amman Construction's ability to deliver what the customer wants is borne by the fact that Amman Construction is the only company in this line of business to have almost all the projects completely booked even before commencement of construction. Various housing finance companies like LICHF, GICHF, HDFC, HOME TRUST, Abf, PNBHF and MHFCto mention a few are well aware of it's matchless track record. Amman Constructions since its inception has been able to complete all the projects on schedule because of a healthy united work force. Today Amman Constructions has more than 100 workers including a large casual labour force at its command who play a major role in the construction activities. The various facilities provided by Amman Construcitons to its workers ensure a committed team effort in all its endeavours.